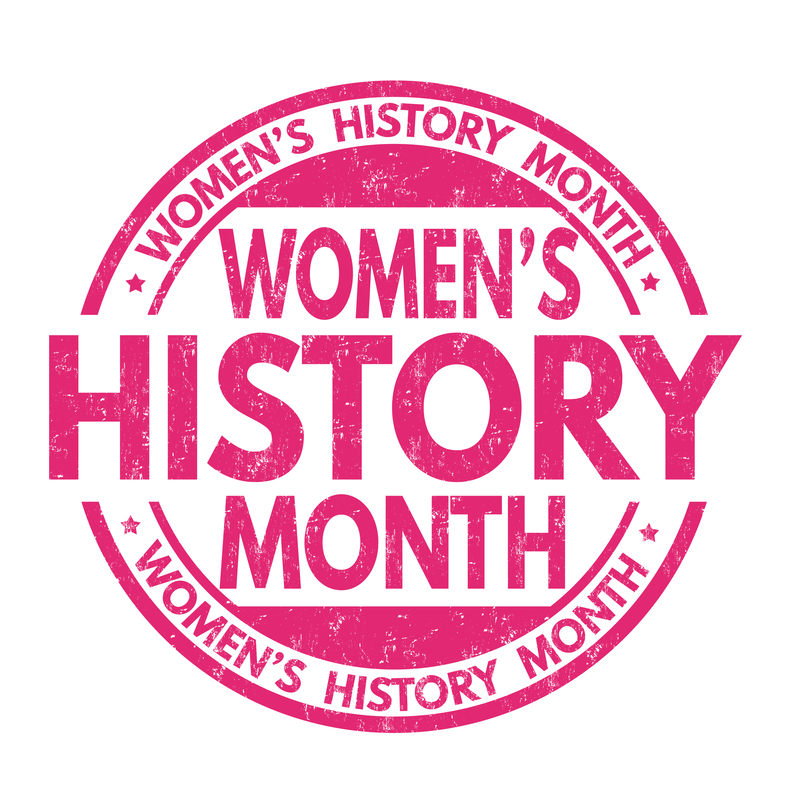 March is Women’s History Month, and we remember and salute three extraordinary, brave and daring women, Susan B. Anthony, Katherine Johnson, and Hedy Lamarr, who paved the way for women’s equality in civil rights, government, science and the arts. Led by their now-legendary visions of intelligence, ambition, and hard work, these women leave their footprints as a bright path for today’s women to follow. Susan B. Anthony was born into a Quaker family and raised in a political activist environment, but she didn’t make her first speech until age 29 because women were not allowed to participate in public speaking. During her temperance campaign against alcohol, this former teacher became inspired to fight for women’s rights, which was her lifelong passion. She campaigned for the property rights of women and for their right to keep their own earnings—and even to the right to control their own bodies. An early feminist who was also said to be pro-life, she worked to educate others about the societal problems of women, including the need to shelter and assist those who were victims of domestic violence. She owned and operated a feminist newspaper called The Revolution. Susan B. Anthony also joined the Abolitionist Movement to fight slavery and she supported the Union Army. After the Civil War, Susan B. Anthony and her friend and colleague, Elizabeth Cady Stanton, campaigned but failed to invoke a change to the 14th and 15th Amendments to include women in the wording. Those Amendments guaranteed the citizenship and voting rights of former slaves and U.S.-born and naturalized African Americans, however, the wording was not inclusive of women. It was a huge setback to their cause to have women excluded from those Amendments, so she and her colleagues reorganized and began anew in a long campaign of traveling nationwide to spread the cause of women’s suffrage. Susan B. Anthony founded the National Women’s Suffrage Association, constantly campaigning for government change that would grant women the right to vote. Determined to champion her cause nationwide, Susan B. Anthony traveled the country to convince others to support women’s rights, especially the right to vote. She died in 1906, fourteen years before women were granted the right to vote. It was 1920 before Congress finally passed the 19th Amendment (also called the Susan B. Anthony Amendment) that granted women the right to vote—she wasn’t alive to see it, but Susan B. Anthony and her staunch allies and supporters had finally manifested true change in America, change that even resonates with today’s women. Millions of people had signed her petitions for the women’s vote and that Amendment—and the work of Senator A.A. Sargent of California, who introduced the bill—was proof of the power of her widespread campaigning and education, her civil disobedience and her grass-roots lobbying. Though some states already did allow women to vote, the 19th Amendment made the requirement national, and not subject to the laws of individual states—it remains one of the most important Amendments to the Constitution. In 1979, in recognition and dedication for all of her hard work, the United States Treasury produced Susan B. Anthony’s portrait on a dollar coin, making her the first woman to be honored on an American coin. More than 757 million of these dollar coins were produced in 1979. Katherine Johnson was a brilliant African American student who graduated the eighth grade at age ten. Her hometown didn’t offer advanced education to African Americans, so her parents enrolled her in a high school located on the campus of West Virginia State College, about 120 miles away. She lived there and eventually enrolled in the college itself, where she excelled in mathematics under the mentoring of Dr. W. W. Schieffelin Claytor, one of the first math PhD professors in the U.S. Katherine Johnson was one of the first black women to integrate a West Virginia grad school and graduated at the age of eighteen. Katherine Johnson didn’t begin her career by working as an aeronautics mathematician. When her daughters, Joyette, Katherine, and Constance were young, she taught math and French at a black public school in the late 1930s. Under the segregation laws that existed at the time, Katherine Johnson fought the stigma of racism on a daily basis, but she wasn’t a quitter. Katherine continued to enthusiastically present her knowledge and gained the respect of her colleagues as she found ways to join meetings and share her input on important projects that would advance the U.S. to the lead position in the space race against the then-Soviet Union, whose launch of the Sputnik satellite accelerated the pace of space technology development to a fever pitch. Proficient at both math and expressing her concepts to her math and science colleagues, this led to additional responsibilities within NASA. Her accurate calculations sent the astronauts into orbit in the 1960s and to the moon in 1969. In May 1961, Katherine calculated the trajectory analysis for the successful Freedom 7 mission, the first human spaceflight, which was piloted by astronaut Alan Shepard. It was the first of the manned Mercury projects. The success of the launch, the orbit, and the astronaut returning safely to Earth set the stage for future manned space flights. In 2015, she was honored with the Presidential Medal of Freedom by President Obama. This is the highest civilian award in the U.S. In 2016, her story was brought to life (with the biographies of other brilliant and notable black women) in Margot Lee Shetterly’s nonfiction book, Hidden Figures: The American Dream and the Untold Story of the Black Women Who Helped Win the Space Race. Soon after, Hidden Figures, the film based on the book, was nominated for three Oscars and two Golden Globes. In September 2017, NASA honored Katherine Johnson for her hard work and outstanding accomplishments with the dedication of a new research facility named after her. She and her family all attended the ribbon-cutting ceremony. Hedy Lamarr, an Austrian American, was said to be a woman who was born before her time. Some might even say she was a ‘Renaissance woman’ because she had immense talent in many diverse areas. On November 9, 1914, during WWI, she was born Hedwig Eva Maria Kiesler, in Vienna, Austria-Hungary. She began her European acting career when she was only seventeen years old. Hollywood soon took notice of her and MGM signed her to a studio contract in 1932. In those days, a studio “owned” an actor and they couldn’t work for other studios without permission. She officially changed her name to Hedy Lamarr and starred in her first movie, Algiers, in 1938. This controversial film, whose first version was rejected because of two roles featuring “kept women,” was actually the inspiration for the later film, Casablanca, which was written with her in mind for the female lead. However, MGM wouldn’t release Hedy Lamarr from her contract so she could make that picture with Warner, so Ingrid Bergman played that role in the Oscar-winning film for Best Picture. The invention of “frequency hopping” prevented enemy intelligence from eavesdropping on secret messages during wartime. Hedy’s co-patent was not only valuable to the military but later, to the cell phone and wireless industry. Lamarr lived a long life and passed away on January 19th, 2000, at the age of 87, leaving behind three children and perhaps millions of lives saved by her co-invention, as well as millions of fans who were entertained by her immense talent on the silver screen. These are just three of the MANY great women of history who have led humanity forward in the quest for women’s equality and the improvement of society, science, rights and government. Women must stand together until they are considered equals to men, but it will take the efforts, intelligence and accomplishments of many women to make a difference and invoke change. Hedy Lamarr, Katherine Johnson and Susan B. Anthony are part of the rich fabric of history that has helped make women who they are today. They challenged society, government, science and more to accomplish nearly extraordinary feats. We celebrate these history-making women, not just for one day, nor for the entire month of March for Women’s History Month, but for all time. The stories of these heroines leave women with the challenging question: What can I do today to make history?